Ever since watching The Bachelor last season (#TeamBecca always), I’ve been dreaming about Italy - the place of my people. I’m already 4 years into marriage, so the ship for a destination wedding has long since sailed away - literally and figuratively, but maybe a vow renewal in the future? I can do that. But for anyone who’s recently engaged and even remotely entertaining the idea of an Italian wedding, we support you 💯💯💯. Do it!! There’s not a doubt in our mind, it’ll be incredible. And we just happen to be friends with a team fluent in il tocco Italiano (that special Italian flair, FYI), Distinctive Italy Weddings. 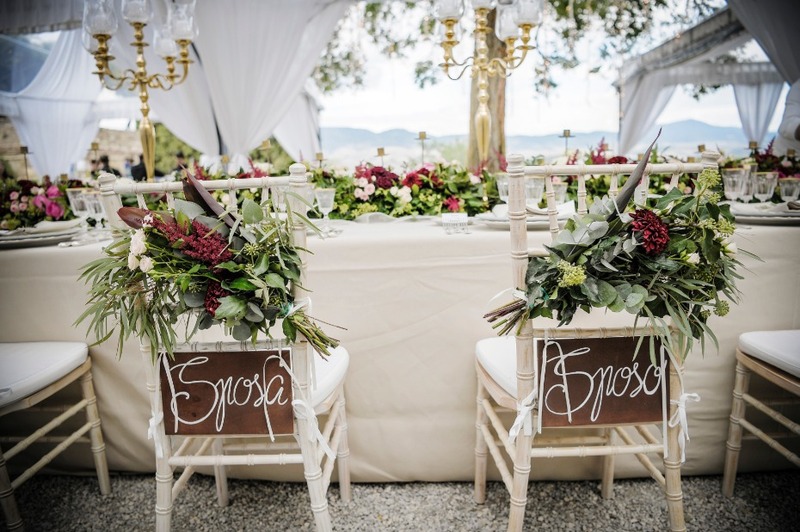 They’ve been in the business of Italian wedding dreamscaping for longer than I’ve been alive, and they sponsored to this post to help turn your destination musings into a romantic reality for you and your guests. 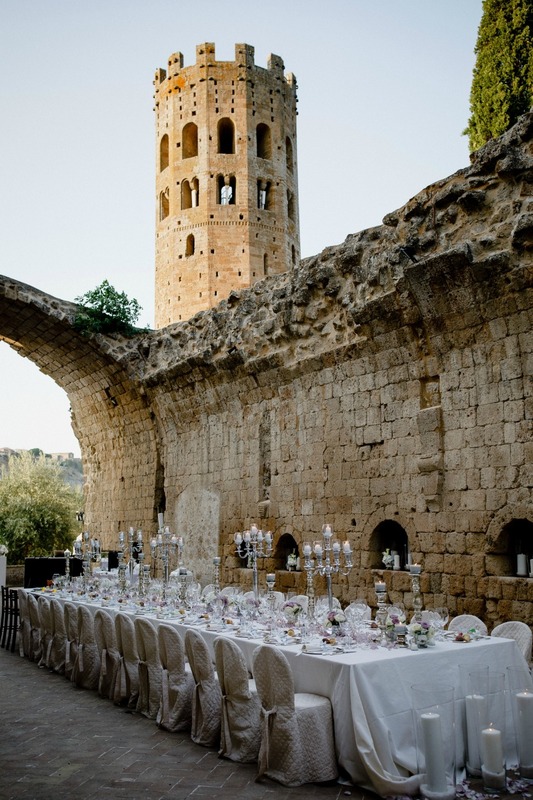 With over three decades of experience designing weddings in Italy, the team at Distinctive Italy Weddings specializes in curating impeccable weddings throughout ‘Bella Italia'. With exclusive venues and contacts across the boot, the team is equipped to make the most personalized and one-of-a-kind events, and your wedding is at that top of that list. 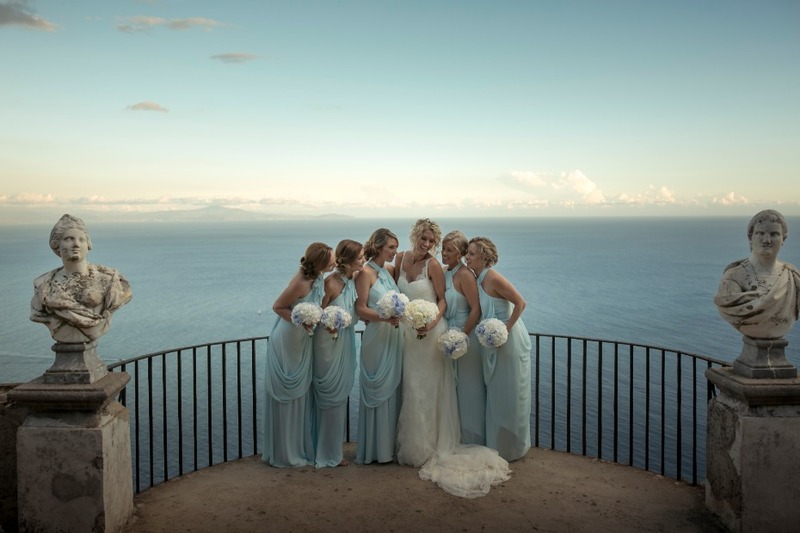 From glam squads to catering to a personal concierge service, Distinctive Italy Weddings constantly strives to offer the best in class, cutting-edge and completely personalized services and vendor connections. And their wedding designers will work closely with you to infuse current weddings trends and traditional Italian touches to your big day. Soooo you can stop stalking all the pictures from Drew Scott and Linda Phan’s wedding and start picturing yourselves in their spots!! With or without the kilts 😉. If it’s an authentic Italian pasta making class you’re craving for your guests, a cake with ALL the mangia-worthy gustos like goat cheese and strawberry balsamic, chocolate hazelnut, etc., or just a stunningly surreal setting to say “I Do,” you’ll get it by working with Distinctive Italy Weddings. 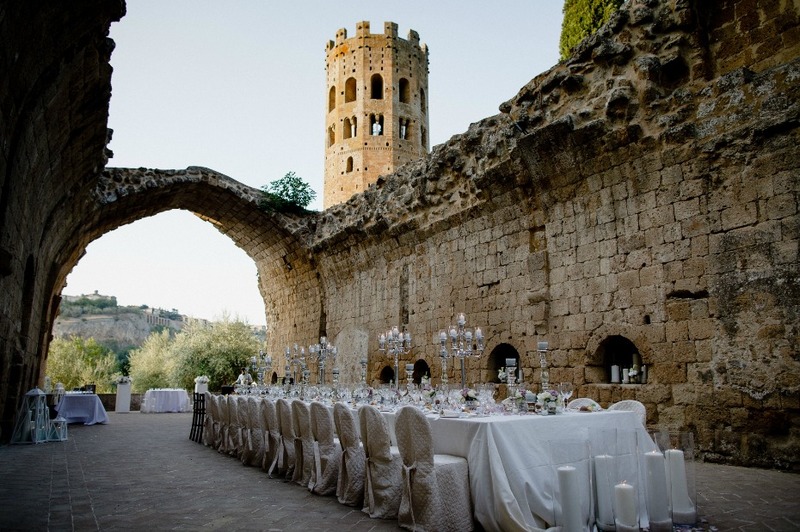 The Distinctive Italy Weddings team has the edge over all of its competitors, in that they’ve been first to organize events in the yet to be discovered regions of Italy, they’ve forged key relationships with local officials, and even helped launch the openings of some new Italian wedding locations. They don’t rest on their laurels when it comes to building their repertoire of boot-based special event professionals, and every property, every scene is scouted, personally-vetted and approved by them. So, they can guarantee they’re endorsing only the most exceptional service providers to couples thirsting for Neopolitan nuptials. That includes all the personal, tailor-made touches, too, so yes, there will be welcome baskets, yes, you can send your guests off with little bottles of Limoncello, sure, you can hire a caricaturist to occupy the bambinos, hell, you can even enlist them for help in securing bona fide Venetian masquerade masks, if it’s on-brand for you big day, of course. This group shines with respect to the details, so there’s really nothing out of the realm of possibility. Sparkle and spectacle are their specialty - so, don’t worry about testing out their strengths. They’re solid!! Basically the bane of every abroad wedding couple’s existence. But you can you chill, DIW has experience handling every part of the paperwork picture (civil and religious), it’s actually one of their key services. 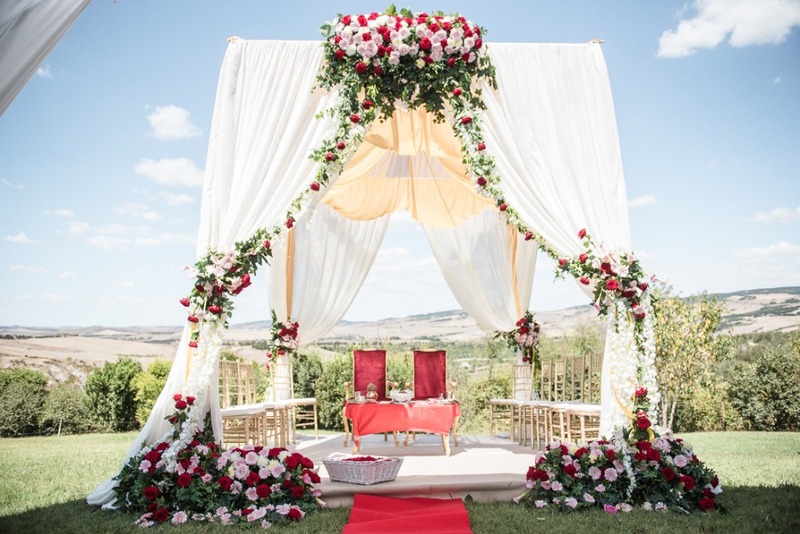 Formalities differ from region to region, and city to city, and it takes a high level of experience to navigate the complexities of this aspect of Italian wedding planning, but after so many years honing their craft, they’ve worked with every possible citizenship and situation. 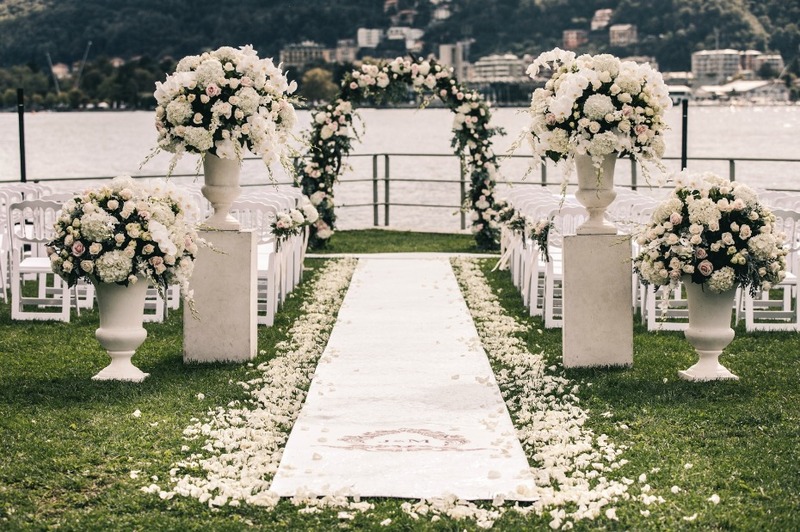 They’ve got the legalities for weddings in Italy on-lock for couples from all over the world. So, what do you think? Ready to swap your #somethingblue for #somethingtricolore? 🇮🇹 Explore Distinctive Italy Weddings’ vast and outstanding venue and services selection and find out how the team can create your dream wedding in Italy. We partnered with Distinctive Italy Weddings to bring you a personalized passport to the perfect Italian wedding. As always, thank you for supporting our sponsors!